Looking for info on Europe train travel in winter? You’ve come to the right place. 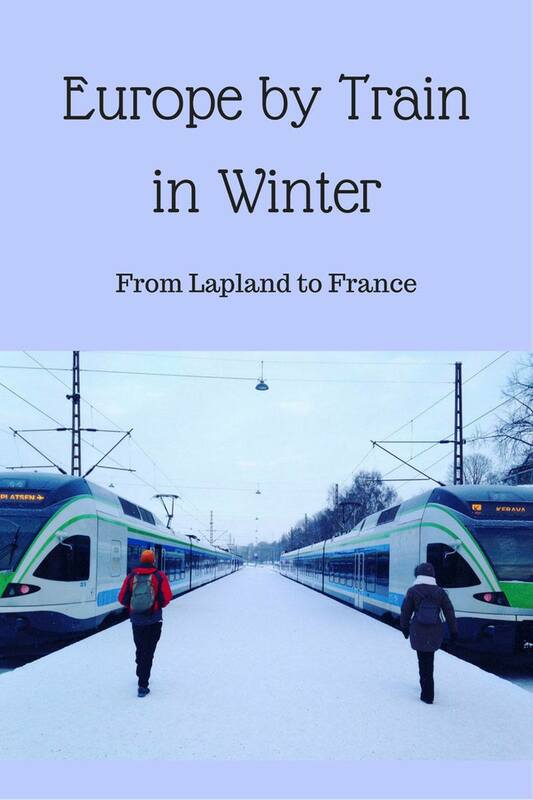 Here’s all you need to know about our love for trains and how we planned a 9 day, 4000 km trip from Lapland to France! There’s no transport I love more than trains. Having grown up opposite a train station, I’ve been fascinated by trains ever since I can remember – so it doesn’t come as a surprise that the very first trip of my ‘adult’ life was an Interrail trip across Europe. It was 2003, I was just about 20 years old and hostels are not what they are these days – I still remember the dingy Amsterdam dorm and how we had to pin our door shut with a chest of drawers to prevent a local junkie from barging in at 5 am with the excuse of charging a ‘cleaning fee’. Ever since then, I have never stopped travelling by train. We’ve travelled around India on sleeper trains. We’ve toured Italy from top to bottom on rails. In 2011 we boarded a train from Milano Lambrate with the vague idea of ‘heading east’ – two months later we found ourselves in Tbilisi, Georgia. Last summer we also travelled around Germany by train while working on the #mygaypride project and visited Berlin, Dresden and Cologne, and then we took an epic two month journey that took us from Poznan in Poland to Montenegro by train. Last summer we traveled using Interrail and Eurail passes and really enjoyed the convenience and flexibility they offer. Having plenty of time, we usually caught trains for short distances – the longest train we caught was Budapest to Ljubljana, our jump-off point for the Jezersko valley and an unforgettable luxury herbal glamping experience. One experience I was dying to have was catching a long-distance train. I longed to spend hours in front of a train window, falling asleep in one country and waking up in another. 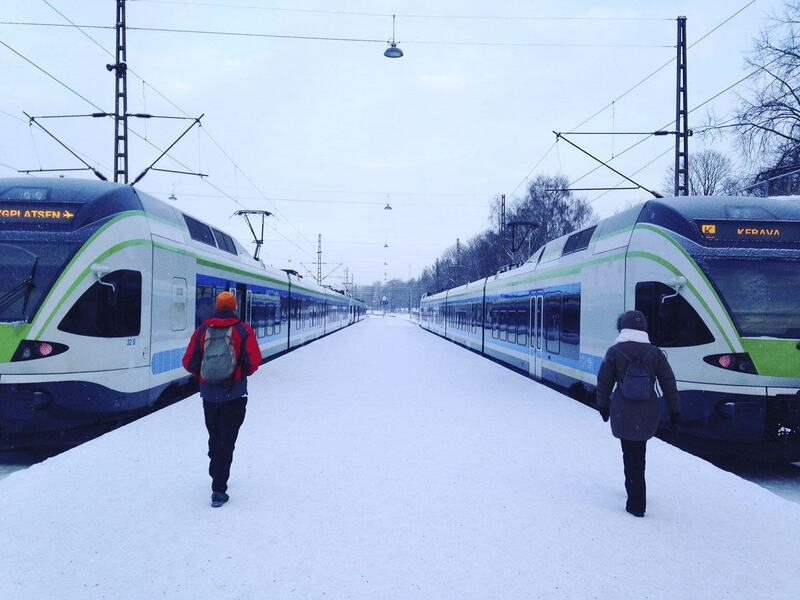 Here’s what Europe train travel in winter looks like! A few months later, in winter, the right chance to cross Europe by train presented itself in front of our eyes. 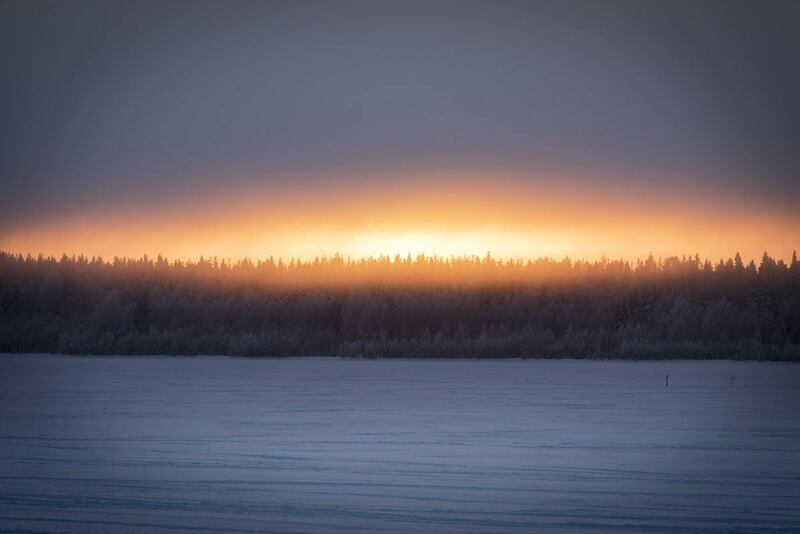 After visiting Helsinki and Tahko as part of Nordic Bloggers Experience 2016, we decided to tour Lapland for a week – we spent three days in lovely Kemi, where we sailed on an icebreaker ship and spent a night in the snow hotel, and four in Salla, where we enjoyed the very best of Lapland in winter. From Salla, the plan was travelling to Bordeaux, where we had a house sit starting about ten days after our departure from Lapland. 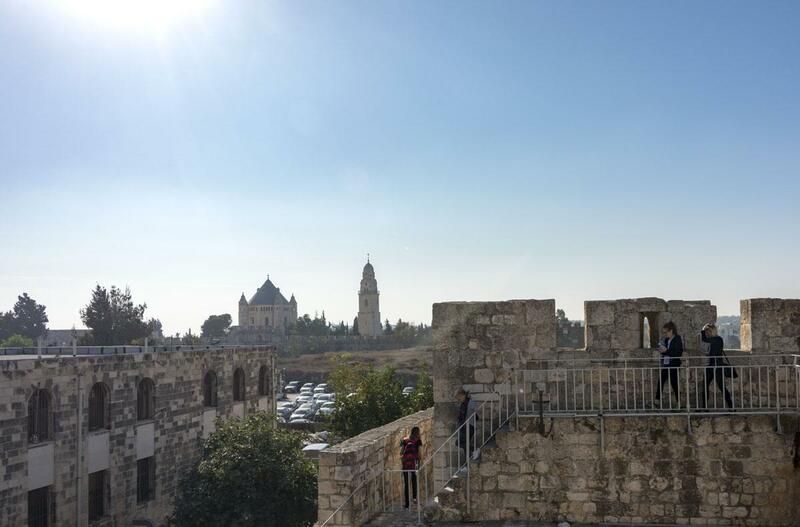 Flying would have cost us about €500 each, taking over a day with two or three stopovers. The train was much cheaper – yes, it was also going to take much longer, but we had plenty of time, so it didn’t matter. Our journey between Salla and Gardonne was just under 4000 km. We planned to take 9 days, including stops in Copenhagen, Cologne and Paris. 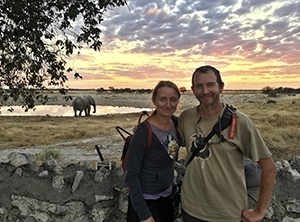 We decided to travel with an Interrail pass, so that we wouldn’t have to worry buying tickets in advance – we were aware that several Finnish and German trains did not require bookings, and tried to get reservation-free trains as much as possible. Interrail kindly sent us two complimentary passes. A 7 day within one month Interrail pass would have cost only €315 for over 26 year olds (that’s us, sadly) and €246 for under 26. 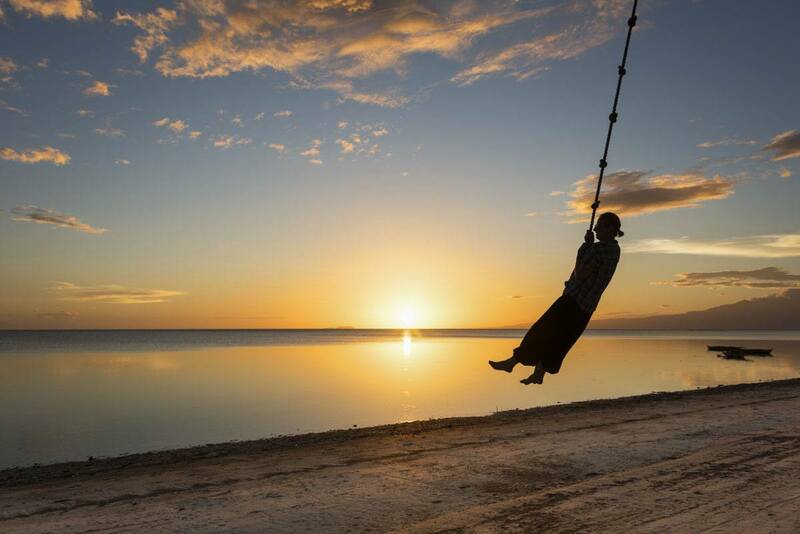 Much cheaper than flying – and a lot more fun! The first leg of our voyage was also the trickiest one, as it involved a series of very tight connections. Here I have to praise Nordic efficiency – there’s no way anything a trip like that would have worked in Italy or anywhere else in Southern Europe. Bus from Kemijarvi to Rovaniemi – 20 minute connection! 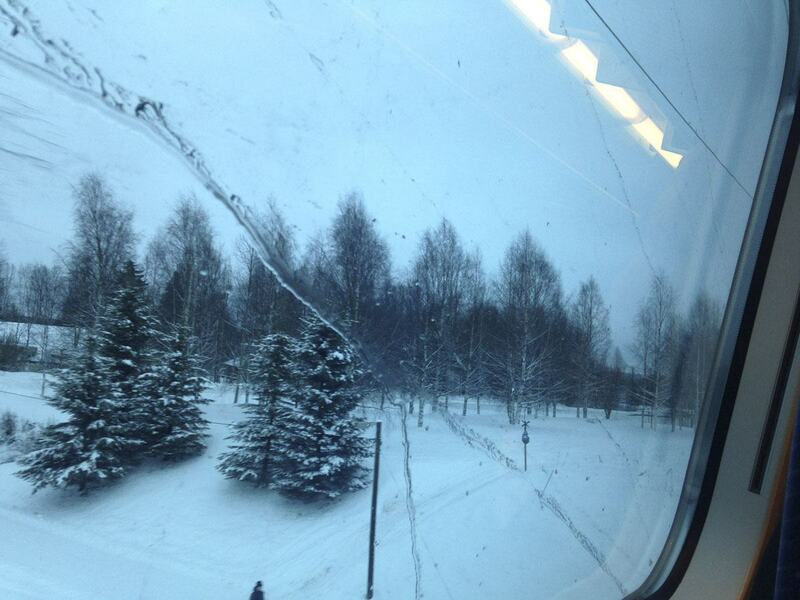 Train from Rovaniemi to Kemi – 15 minute connection. This train is booking free. We left Salla at 8 am and got to Lulea around 6 in the afternoon, which gave us plenty of time to have some dinner (the Thai-Chinese place right next to the station is awesome!) and catch the night train to Stockholm. 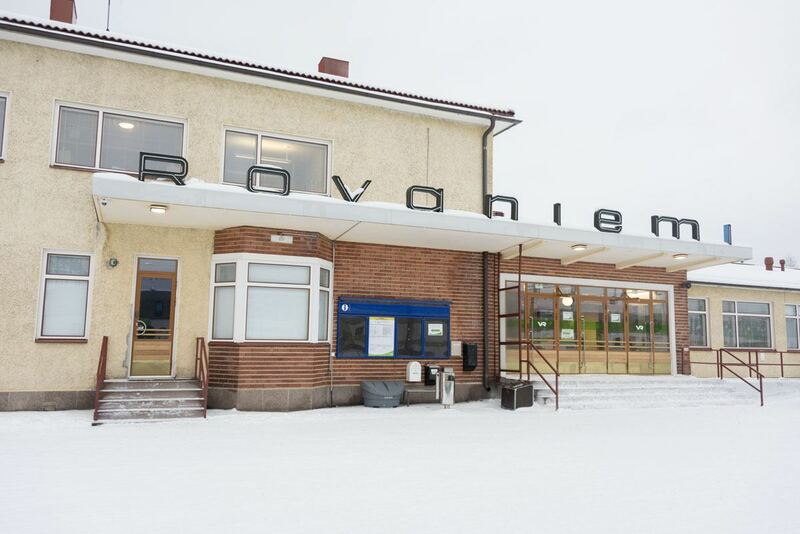 We paid about €30 each to travel from Salla to Rovaniemi, and all the rest was covered by our Interrail pass. 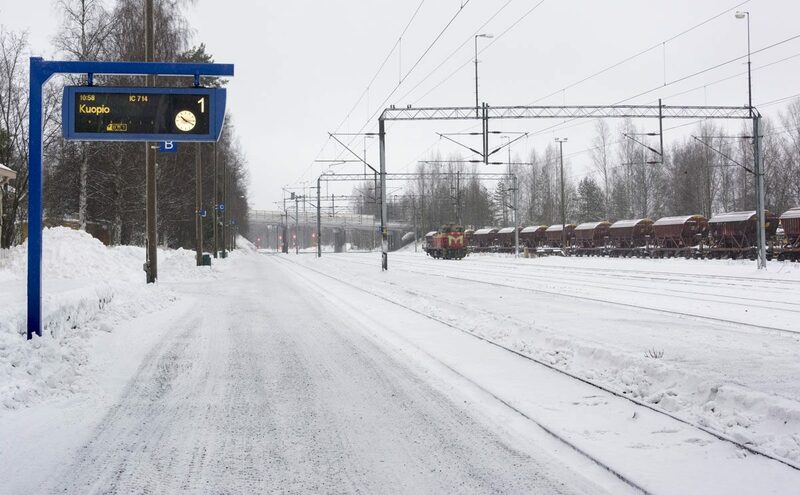 The two buses from Kemi to Haparanda and from Haparanda to Lulea were free with our Interrail ticket, as there’s no railway linking Finland and Sweden. The Interrail logo is usually displayed at the front of the buses – just show your pass to the driver and you’ll be allowed on for free. Rovaniemi station where we got on a Kemi-bound train. Love the sign! From Lulea, we caught a night train to Stockholm. There are two night trains every day – one departing at 16.47 and getting to Stockholm at 6.30 the following morning, the other leaving at 21.08 and arriving in the capital at 10.23 am. Having missed the first train, our only option was the second one. 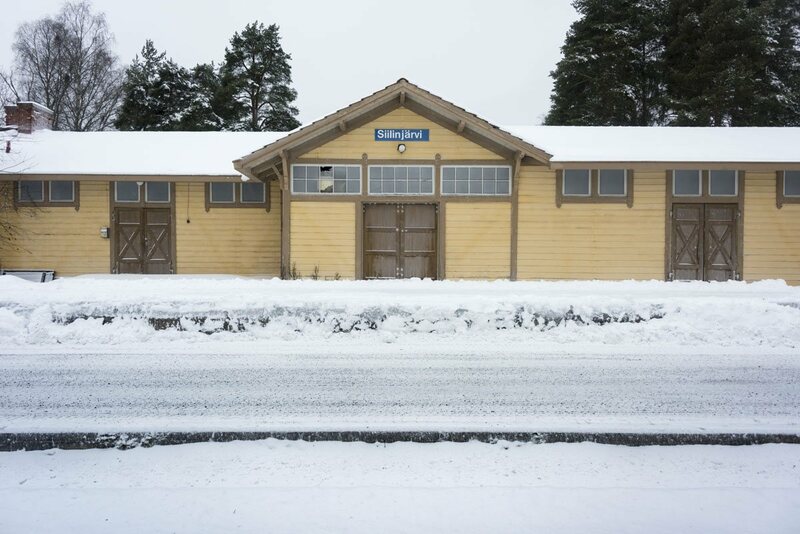 Please note that there is no ticket office at Lulea station, only a ticket machine, and the on the night train reservations are compulsory. Luckily, there’s free wifi at Lulea station which means you can easily access the Swedish railway site and book a seat or berth. 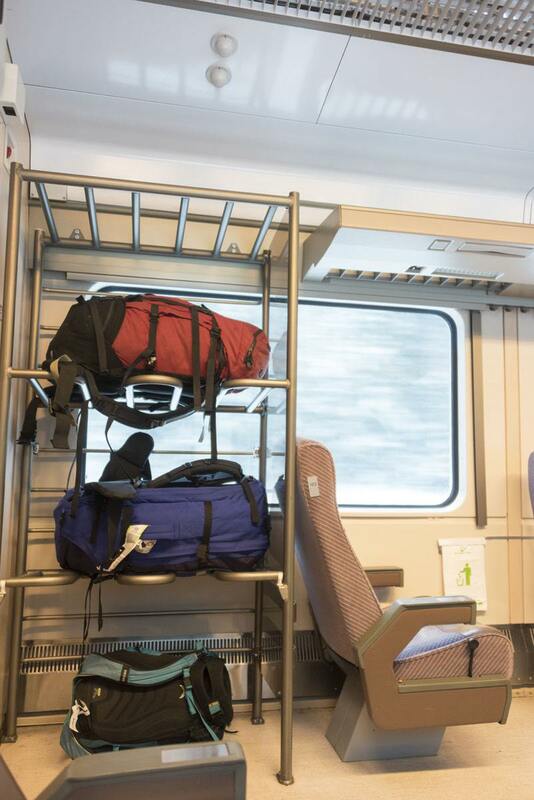 Prices start at SEK 496 for a second-class seat, about €50 – with our Interrail pass we only had to cover the reservation fee which was SEK 70 (€7.50) each for a seat. A berth would have cost us an extra €20 each – but they were fully booked. The train was comfortable and not at all crowded, so falling asleep wasn’t hard at all. We woke the following morning as the train pulled into Gavle and lots of commuters got on. The landscape had changed completely. Gone were the forests and snowy fields of Lapland – from Gavle to Stockholm we travelled through a semi-urban landscape, barely dusted with snow. After another couple of hours, we pulled into the Swedish capital – sadly, we didn’t have time to stop, and soon after we boarded a train to Copenhagen. When we got to Stockholm, we had about three hours to kill before our train to Malmö. 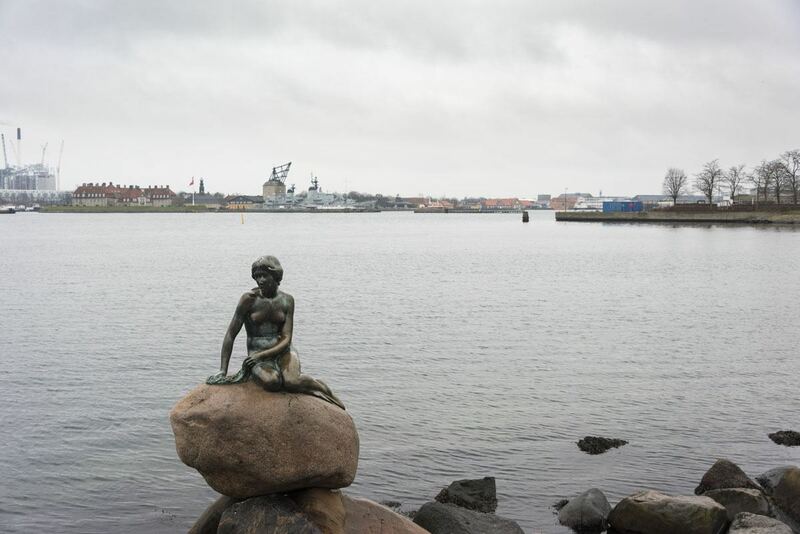 Direct trains to Copenhagen depart regularly from Stockholm, but last February they had been temporarily suspended due to border controls on the Øresund Bridge between Denmark and Sweden. With three hours to kill, we enjoyed another awesome perk of our first class passes – free access to the SJ lounge! We had free snacks and drinks, which were much appreciated after a night train, free newspapers and free Wi-Fi. 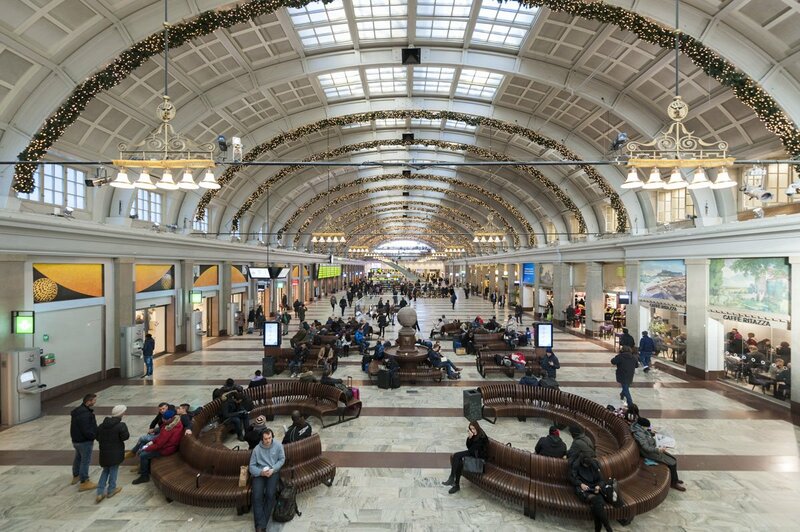 We could also book a seat on our Malmö train and print the confirmation for no extra charge at the concierge desk, with no need to navigate the confusing SJ site! 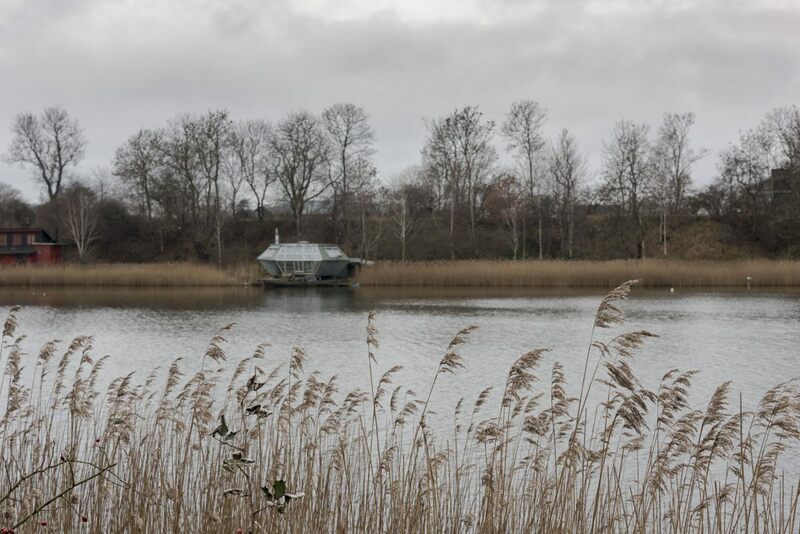 The Stockholm-Malmö train took 4 and a half hours, and from Malmö we waited only a few minutes to catch a connection across ‘The Bridge’ to Copenhagen, where we spent two days – but we wish we had more time to enjoy some of the most amazing day trips from Copenhagen. 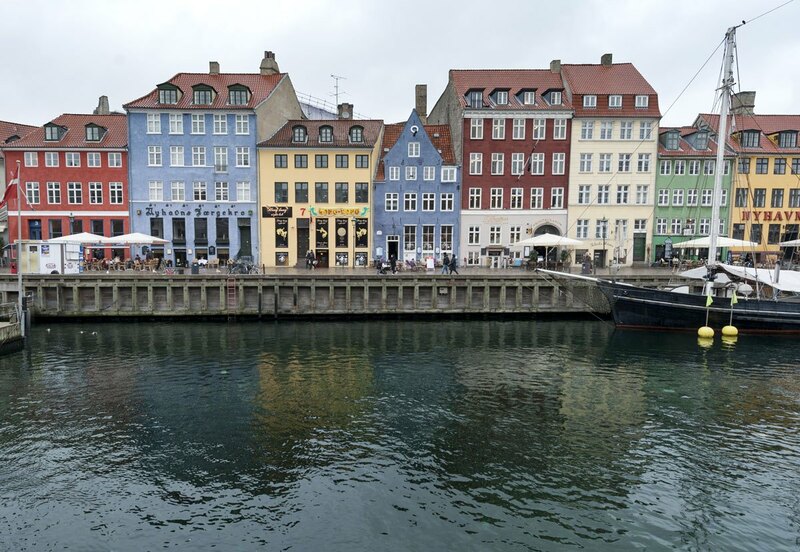 It was my second time in Copenhagen, after visiting over 10 years ago, and Nick’s first, so we spent two days checking out the main sights in the city – we had a lovely walk around Christiania, visited the little Mermaid and the colourful houses of Nyhavn. I must admit that Copenhagen is one of my least favourite cities – maybe because both my visits were in winter, but I’ve always found the city kind of boring. There are plenty more things to do in Stockholm, and Helsinki in winter is far more spectacular, at least in my opinion. I guess I just need to visit in a different season and see if I change my mind. 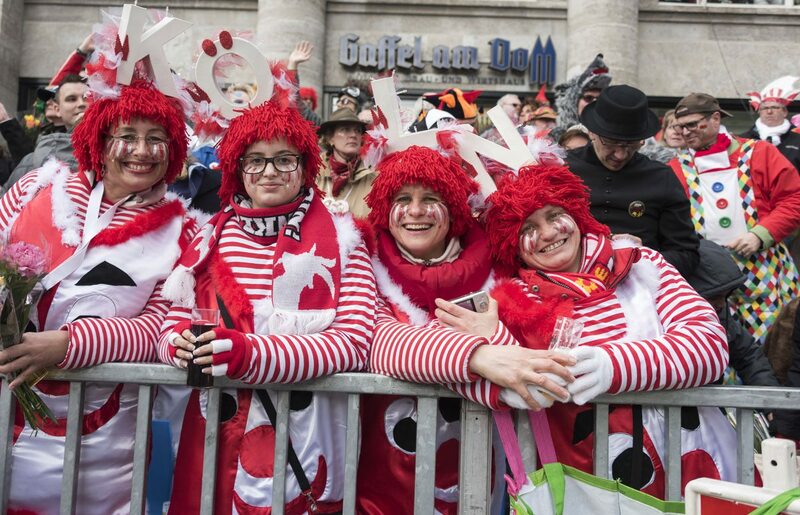 After Copenhagen, we headed to Cologne where our plan was spending three days enjoying Cologne Carnival, one of the largest in Europe. The journey between Copenhagen and Cologne takes around 9 hours, with a connection in Hamburg – on the day we travelled there were some track repair works and so we had to do an extra connection in Fredericia. A street scene from Cologne Carnival! 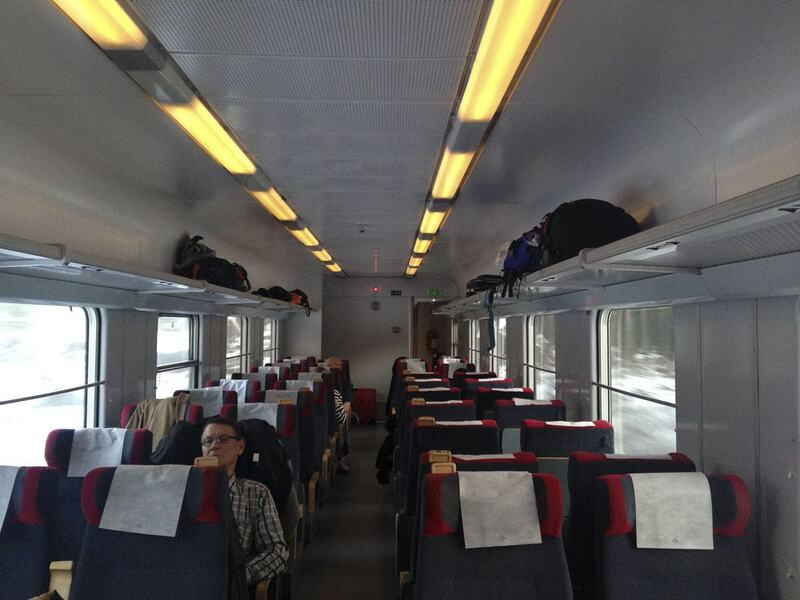 Both Danish and German trains were clean, on time and comfortable, and required no bookings. The train between Fredericia and Hamburg had free drinks, snacks and fast wifi in first class – shame they turned it off as soon as we crossed the German border. Once in Hamburg, we had a couple of hours in the station, just enough time to enjoy a nice currywurst. We would have loved to go for a walk around St Pauli, our favourite part of town, but there was no time sadly. 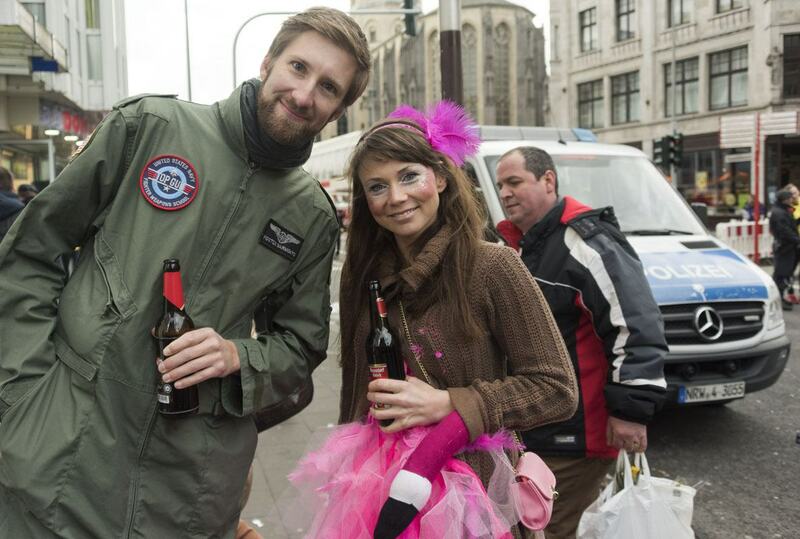 After two days of partying at Cologne Carnival we headed to Paris with a massive hangover to keep us company. Luckily, we were in for a treat as far as trains go – the lovely Thalys, a high-speed train travelling between France, Belgium, the Netherlands and Germany, and covering the distance between Cologne and Paris in about three hours. Thanks to the Thalys, you can also head to Belgium in a couple of hours from both Cologne and Paris – a Bruges day trip is a wonderful idea if you’ve never been! 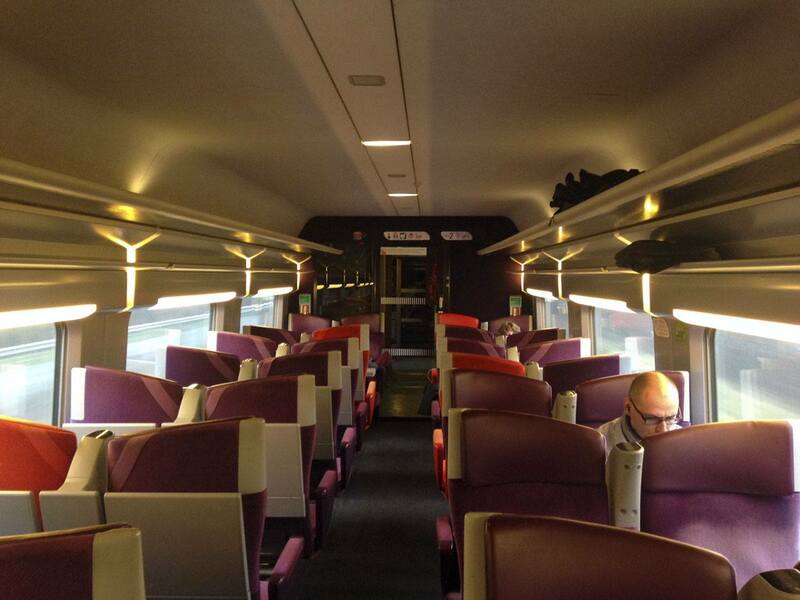 Travelling in style – the THALYS! The first class seats of the Thalys are the most comfortable E-V-E-R and you’re looked after from the moment you set foot onto the train to the moment you leave – we were offered a snack, coffee, beer, lots of water and soft drinks and even dinner! The only catch is that – naturally – this train is rather pricey, if booked last minute and at a busy times like Carnival. If you’re travelling with an Interrail pass, you only have to pay a reservation fee for a seat on the Thalys. The reservation fee for first class is €35, and €25 for second class. In theory, you should be able to book your seat via the official Belgian railway site, but I couldn’t figure out how, so I ended up asking Interrail to take care of the booking for me for an extra €8 per person. 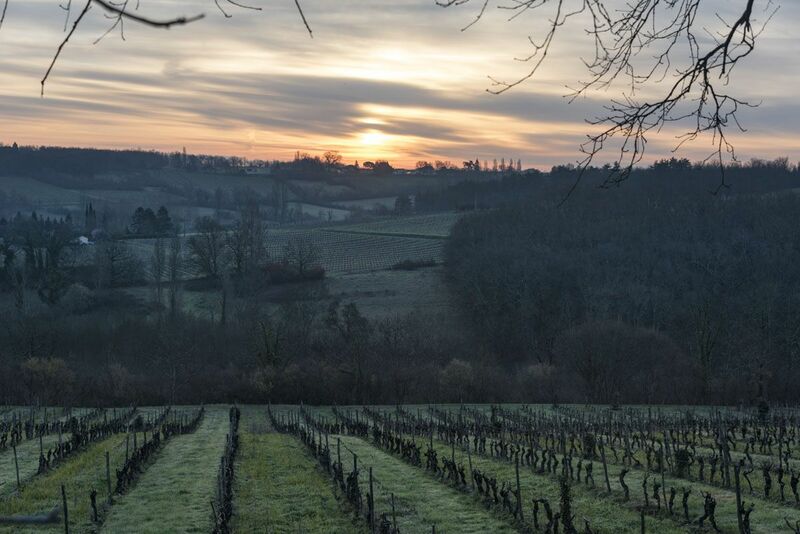 Our final destination – Saussignac, Dordogne! 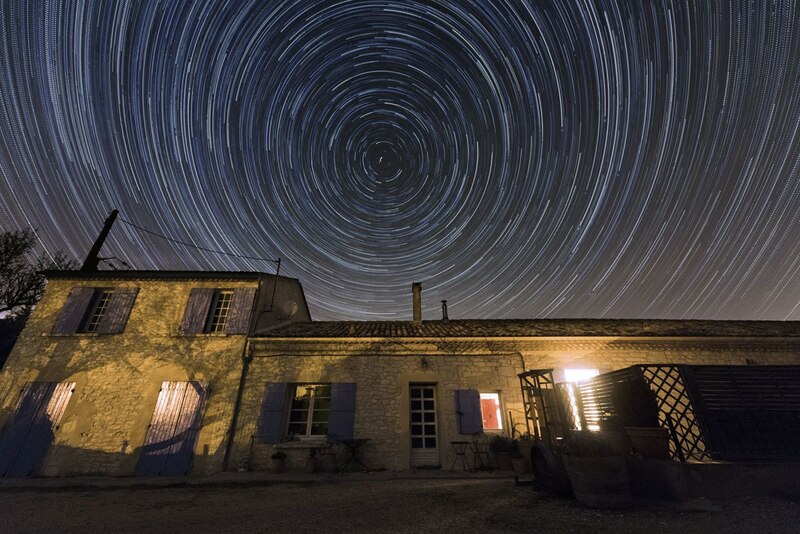 We had a quick overnight stop in Paris, and the following day we were finally off to our final destination – the village of Saussignac in the Dordogne region, where we were going to spend a month housesitting and taking care of a dog, two cats and eight chickens. We set off from Paris bright and early, and headed to Bordeaux on a TGV. Reservations are compulsory on TGV trains and cost €9 per person – it can easily be done via the Voyages SNCF site (make sure you follow that link and click the ‘I already have a pass’ tab on the right hand side), or once again Interrail can take care of the booking for you. From Bordeaux, a combination of local train and bus took us to Gardonne, from where our housesitting host picked us up. Our journey was complete, after 9 days and 4000 km! 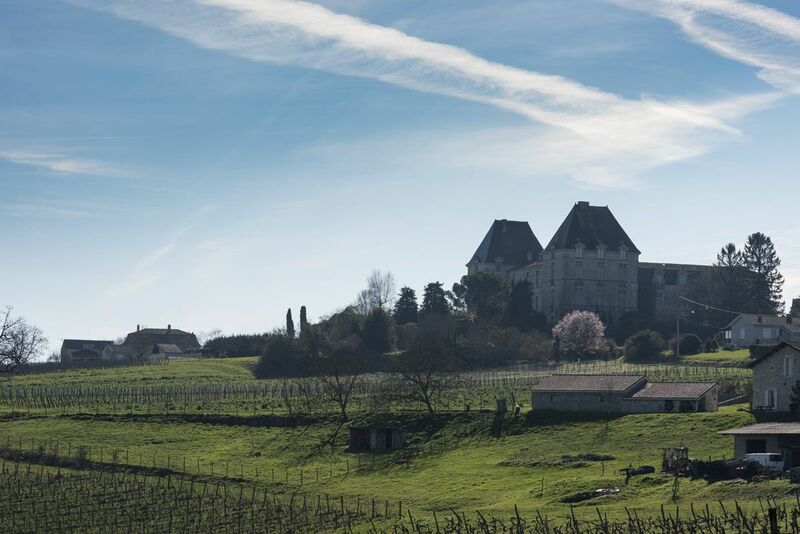 We used the time of our housesit to relax, catch up with work and enjoy the wonderful nature around Chateau Feely, the biodynamic winery that was our home for a month. This year we were asked to go back and housesit again lovely Dora, Leah, Gims and the eight chickens – so watch this space, as some more articles will be coming as soon as we head back to France! 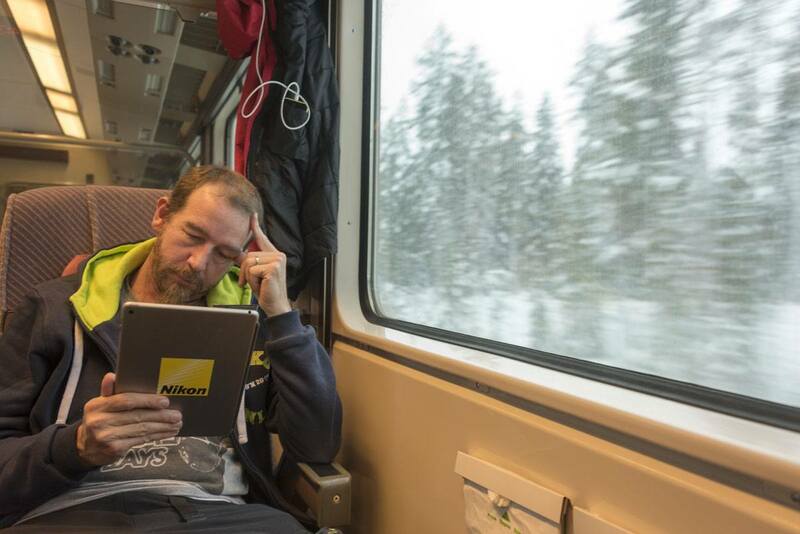 Travelling by train in winter in Europe is a fun way to get around, enjoying the winter landscape in total comfort. All the trains we took were comfortably heated and we didn’t experience any major delays or other inconveniences. 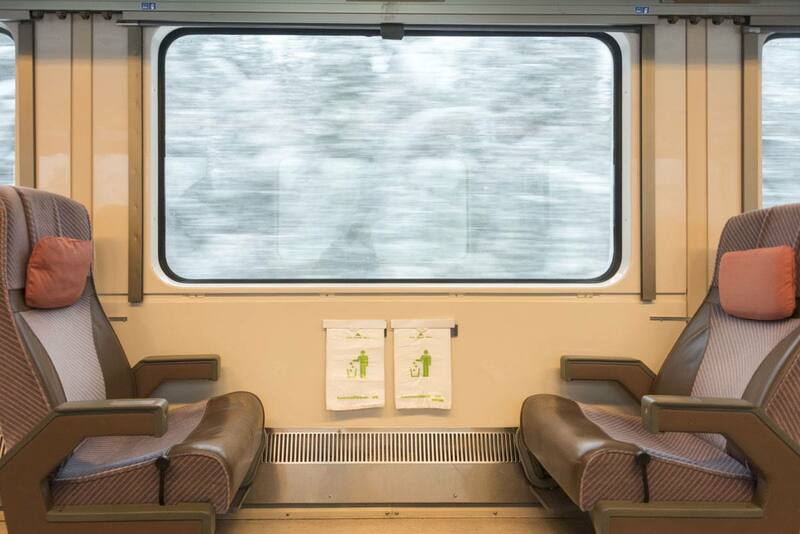 Europe train travel in winter – an EMPTY Finnish train! Here are our best tips to plan your very own winter train adventure – you can get lots more in depth information on our Interrail Ticket, Eurail Pass post, including info on the various passes available. Make sure you allow enough time to book your Interrail pass – at least 2-3 weeks before travelling, as it needs to be mailed to you. Download the Rail Planner app, including the timetables of all European trains including updates for diversions, repairs and other work in progress. We found the Rail Planner app to be an invaluable tool to plan train trips around Europe, and still have it on our phones! Sort out the bookings you need in time. 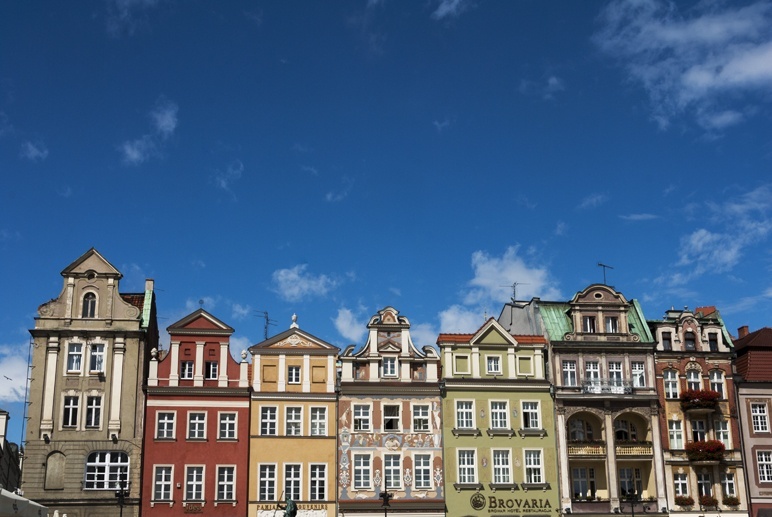 If you don’t want to navigate national rail sites or queue at the station, just get in touch with Interrail and they’ll sort all the bookings for you. Always be ready for plan B. As I said, we didn’t experience any delays, but that’s not saying delays never happen! 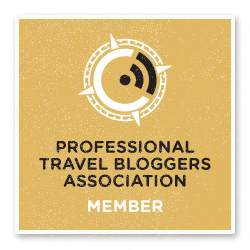 We received our Interrail passes free of charge as part of a promotional campaign. All opinions remain our own and we do recommend the passes highly – or else, we wouldn’t have been interrailing four times!